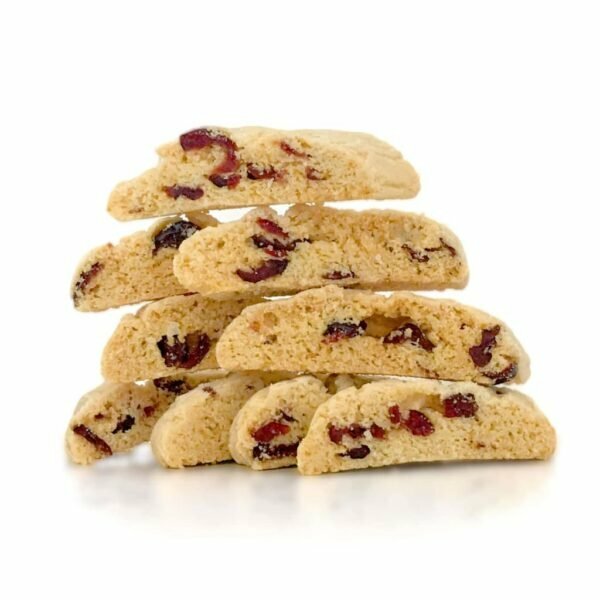 Created with natural orange oil and the best dried cranberries you can buy, these biscotti are as delicious as they look. It’s hard to stop at one! 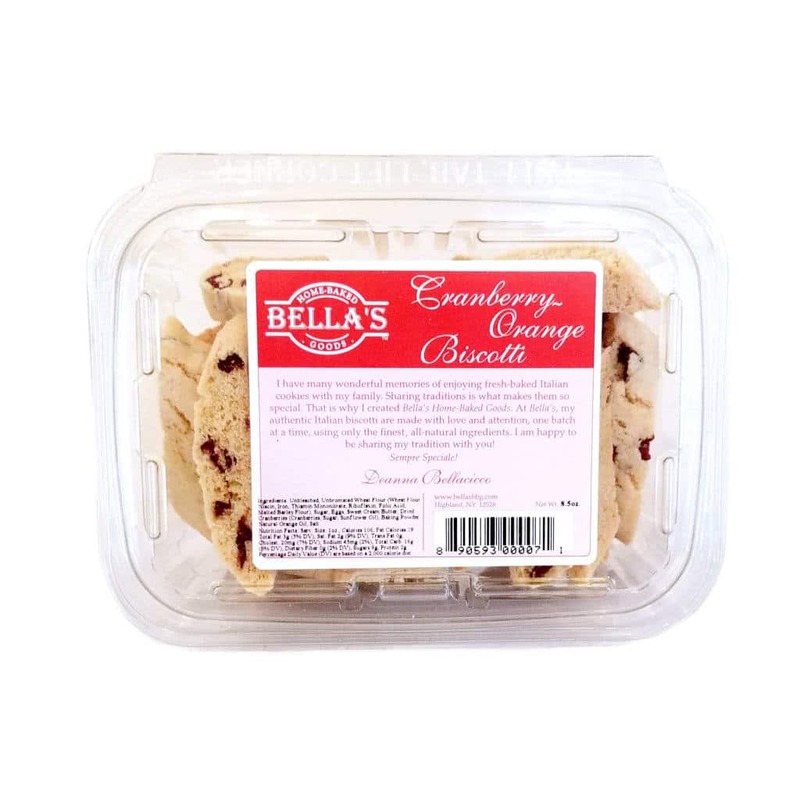 Ingredients: Unbleached, Unbromated Wheat Flour (Wheat Flour, Niacin, Iron, Thiamin Mononitrate, Riboflavin, Folic Acid, Malted Barley Flour), Sugar, Unsalted Butter (Cream, Natural Flavorings), Eggs, Dried Cranberries (Cranberries, Sugar, Sunflower Oil), Baking Powder, Natural Orange Oil, Salt. Nutrition Facts: Serv. 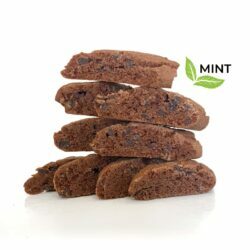 Size: 1oz., Calories 106, Fat Calories 28, Total Fat 3g (5% DV), Sat. Fat 2g (9% DV), Trans Fat 0g, Cholest. 20mg (7% DV), Sodium 46mg (2%), Total Carb. 18g (6% DV), Dietary Fiber 0g (2% DV), Sugars 9g, Protein 2g. 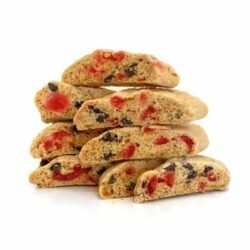 The cranberry-orange biscotti are deliciously delightful. All our friends are also of the same mind-absolutely marvelous. Marvelous! 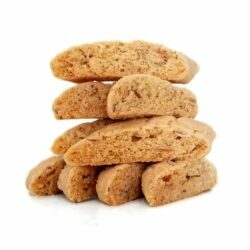 I do not drink coffee, but I can eat these just fine by themselves. Definitely an “I bet you can’t eat just one.” item. I love the Cranberry-Orange. And if you want it just a little softer, 6 seconds on “Defrost” in the microwave does the trick. A fine product. 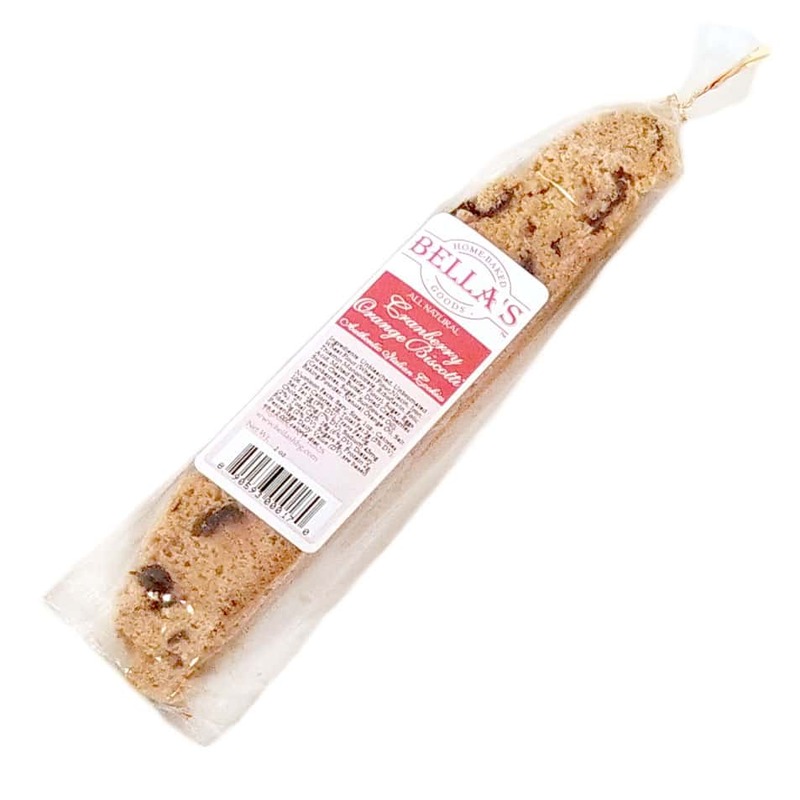 We stopped at Bella’s booth at the Country Living Fair in Rhineback, NY this past Saturday and bought a box of the Cranberry-Orange Biscotti. Our biggest regret is that we bought only one box!! So delicious! We will be ordering some online!